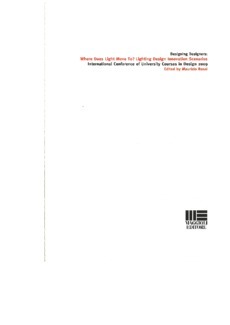 Lighting provides designers the means to interpret and engage with the world. Designers can manipulate how light is molded, presented, emphasized, they also have absolute control over the form given to the physical luminaires. With such tools at their disposal designers can dictate what the light/light fitting will communicate with the end-users. In an exhibition environment a meaningful exchange between end-user and product may be carefully crafted utilizing light. The main body of this paper will provide two case studies; a case study of the exhibition luminaire Ema designed for the exhibition the Presence of Things, and Ziya designed for the Safety Catch exhibition. Both exhibitions were held in Australia and each dealt with social/cultural issues that were topical at the time.